Thirty-five years have now passed since OPEC imposed an embargo on the export of oil to the United States. Officially, that embargo, which began on October 17, 1973, ended five months later. Since the embargo, OPEC has continued using its influence to manage oil prices. Despite surging U.S. oil production and plunging imports, pump prices are still determined by the global oil price. Anyone tempted to believe that America is totally energy independent and can no longer be knocked on its back by Middle East oil producers ought to think again. Today, OPEC controls 42 percent of the world’s oil supply. It also controls 61 percent oil exports and 80 percent of proven oil reserves. President Trump’s recent appeal to Saudi Arabia, leader of the OPEC cartel, to boost its oil production so as to reduce oil prices was a reminder that OPEC remains a geopolitical vulnerability for the United States. OPEC’s second most important player, after Saudi Arabia, is now Russia, despite not being an official member of OPEC. This new alliance between Saudi Arabia and Russia has meant that OPEC can have an outsized impact on world oil prices. The bitter irony, then, is that it turns out that by failing to address OPEC’s new power to reshape oil geopolitics we have, in fact, been sacrificing the future, too. What passes these days for sound policy designed to protect the American consumer from a ramp-up in oil prices is in fact a form of economic self-mutilation, which will harm America for many years to come. Instead of focusing energy policy on ways to boost U.S. oil production, it’s pretty clear that the Administration is taking pains to develop a close working relationship with Saudi Arabia and Russia. Deepening the oil alliance with those two regimes marks a potentially historic shift for the U.S. that will impact people everywhere, but especially U.S. drivers filling up their oil tanks. The United States uses about 20 million barrels of oil a day, but one-fourth of the oil comes from abroad. Will we just keep importing more from OPEC and faraway and unstable countries? Or should we make greater use of our own vast oil and natural gas resources? Our oil imports are eating up resources that we ought to spend for other purposes. When it comes to domestic oil production, special attention should be given to technological breakthroughs of all sorts. Take, for instance, the surge in U.S. shale-oil production due to the innovative use of hydraulic fracturing combined with horizontal drilling, which has been a big upshot for U.S. oil production. Complex algorithms are enabling companies to duplicate the design for the most productive wells over and over. The typical rig that drilled eight to 12 wells a year just a few years ago now drills up to 16. The evidence is overwhelming that we ought to be doing more to optimize production, not only advancing the use of new technology but also opening up more areas to shale production and recognizing that the main reason we’ve done so little to foster deep-water drilling in coastal waters of the Atlantic and Pacific is the preaching of environmental scolds, who have wrapped themselves in the mantle of renewable energy. Regulatory certainty for U.S. oil development is essential to the oil industry’s continued success. There needs to be a clear path forward for the industry to show that the U.S. is the best place to invest in energy development, with the opportunity to enhance economic and environmental health, improve national security, and provide rewards on every front. As U.S. output rises, prices are inclined to fall. That’s bad news for OPEC, but good news for consumers around the world. Dr. Robert W. Chase holds B.S., M.S., and Ph.D. degrees in Petroleum and Natural Gas Engineering from Penn State and is a registered professional engineer in Ohio. 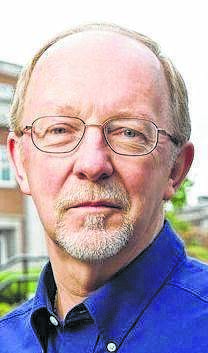 He was a professor and chair of the Department of Petroleum Engineering and Geology at Marietta College from 1978 until his retirement in 2015. This entry was tagged NATO-US. Bookmark the permalink.